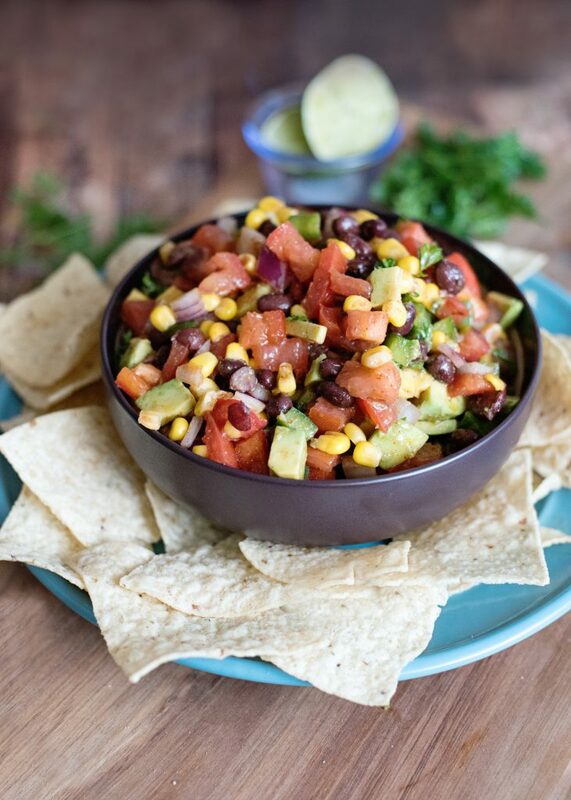 When you want a light and delicious snack or appetizer, try out this Fresh Corn and Black Bean Salsa! The flavors are phenomenal and it’s super healthy and full of nutrients! I love fresh vegetables. I especially love fresh vegetables when they’re flavored with flair. 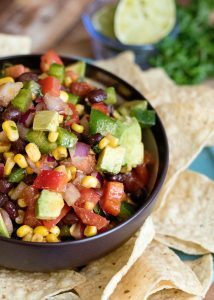 Mexican food is a favorite in our home, and this fresh corn and black bean salsa is so delicious. Whenever I have to bring an appetizer and it’s above 75° this is usually what I turn too! The prep is fast and easy. I used canned black beans and frozen corn kernels, so although you will have to do SOME vegetable chopping, that’s pretty much all the prep you’ll need. Juice a couple of limes, mix in the rest of the dressing ingredients, and voila! 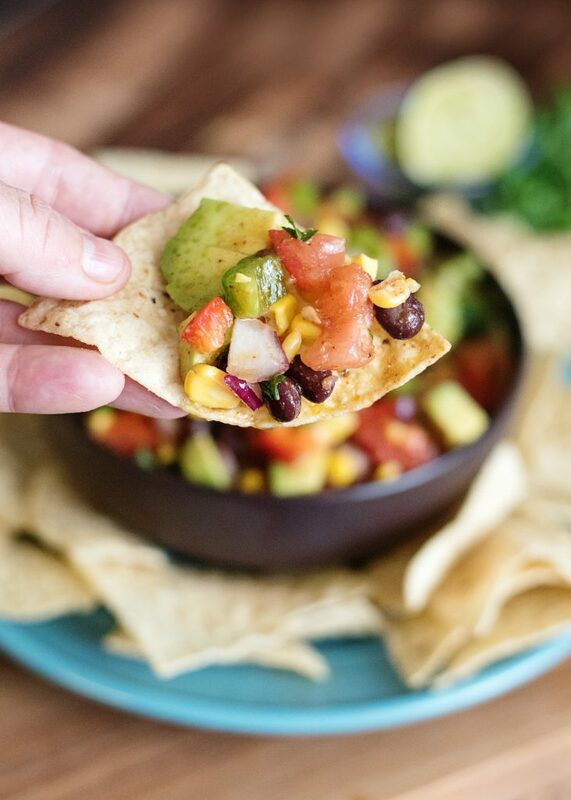 This is delicious with tortilla chips as an appetizer. You can also add it to tacos, or eat it alongside quesadillas! 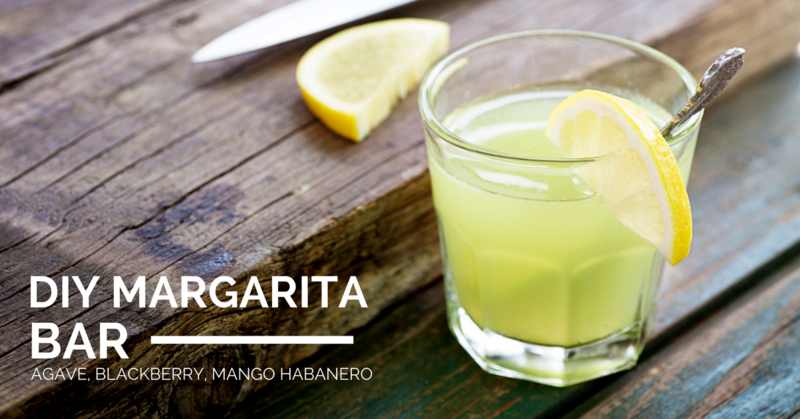 This is also great for a Cinco de Mayo party! 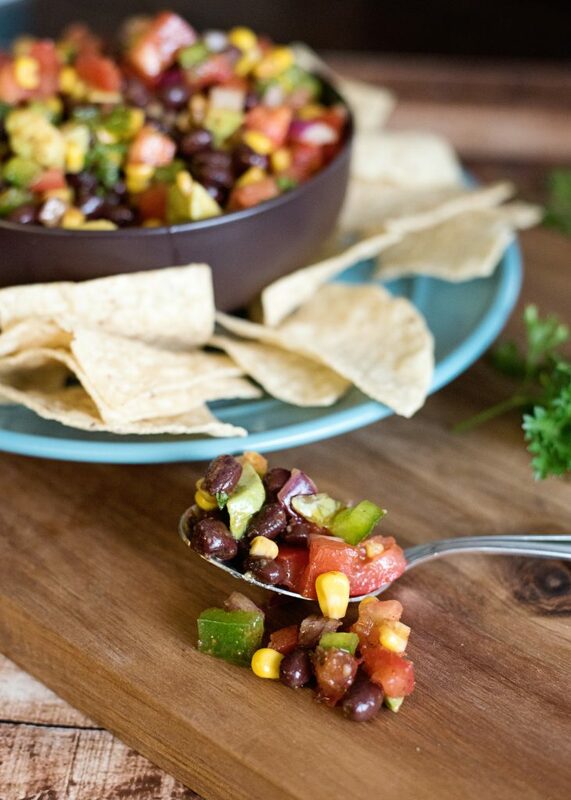 Try this delicious fresh corn and black bean salsa at your next family gathering or game night – you’ll be lucky if you’re left with a spoonful! 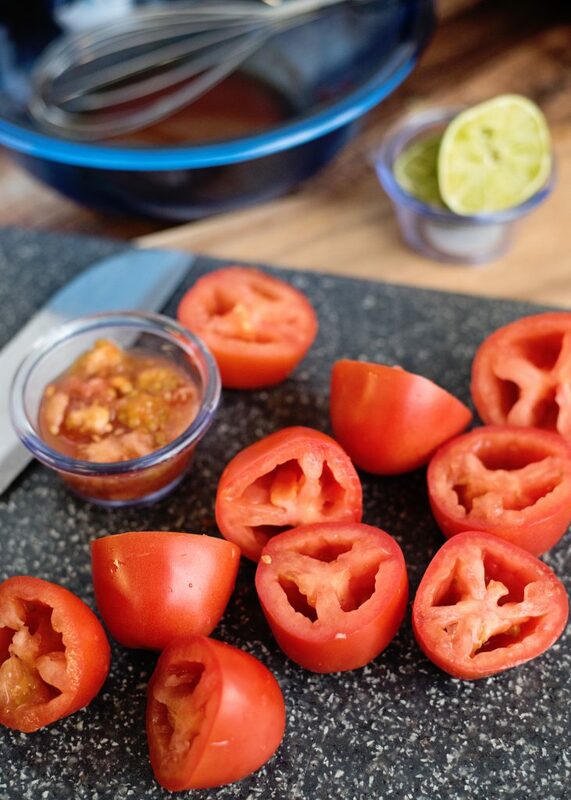 This delicious, fresh and healthy salsa will kick any meal up a notch! In a large bowl mix together the olive oil, lime juice, chili powder, cumin, and salt and pepper. 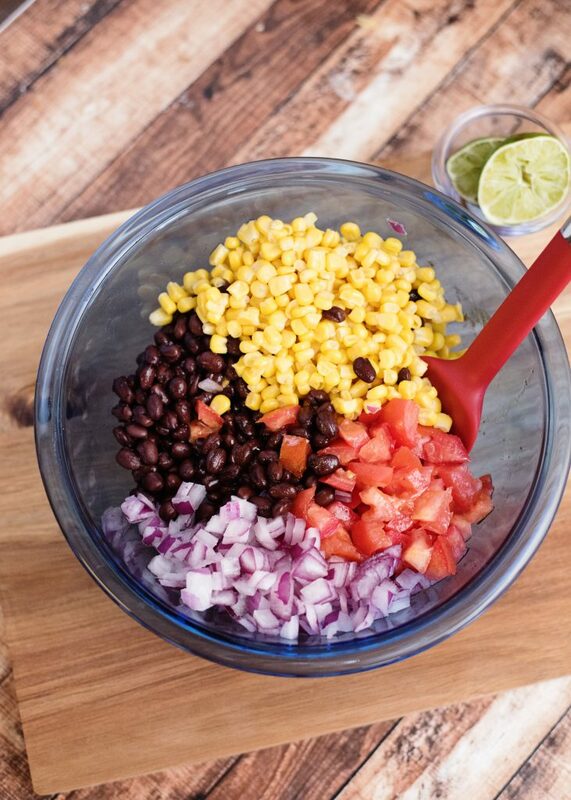 Add tomatoes, black beans, corn, red onion, and bell peppers. Mix. ❮ ❮ Is Your 15 Month Old Having Temper Tantrums?